One thing that has become apparent in the last year or so is that a Mexican food craze has swept through Perth like a tidal wave! The colourful line up includes La Cholita, El Compa Casa Mexicana and el Publico, along with a few faster food options like Mad Mex and Zambreros. 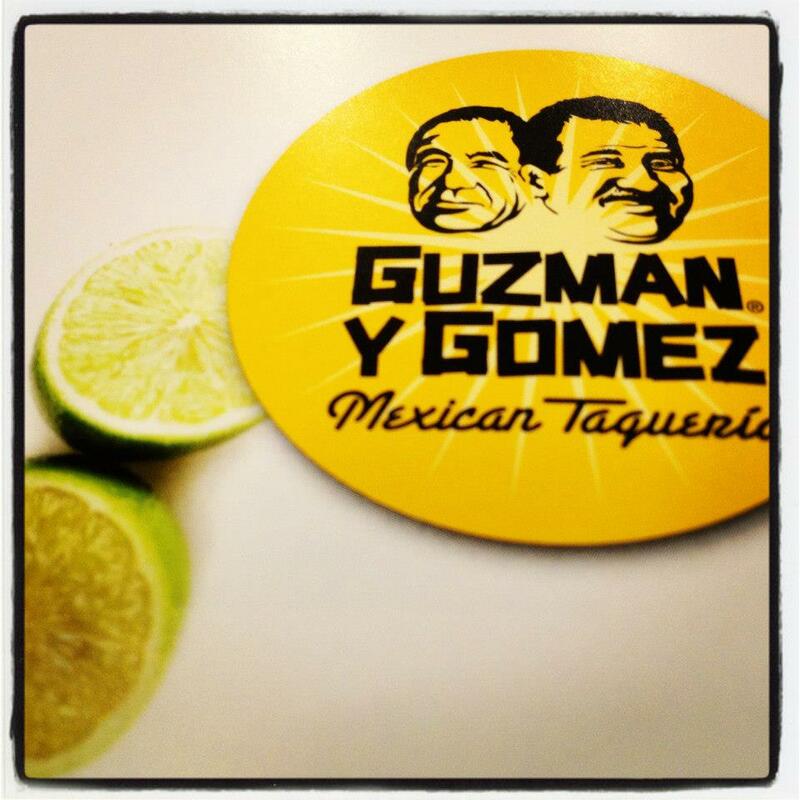 The most recent addition is a chain from the east coast of Oz called Guzman y Gomez Mexican Taqueria. 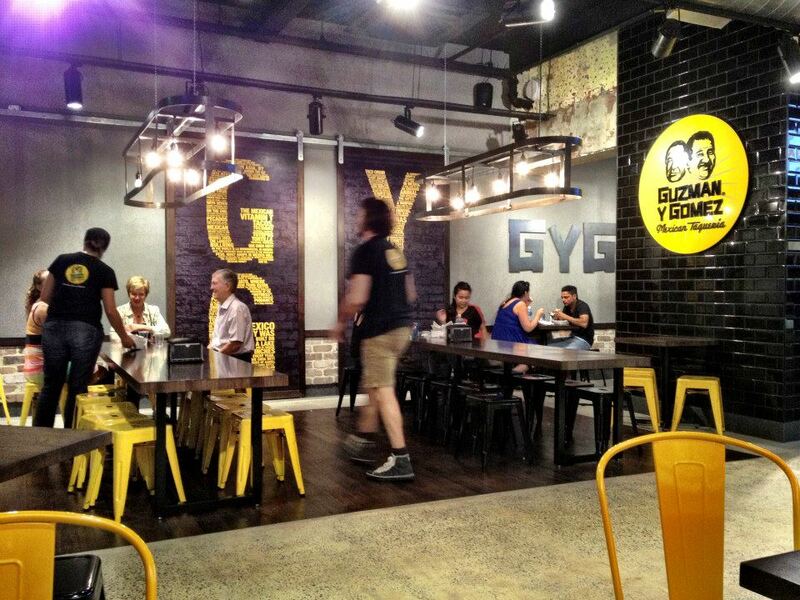 Guzman y Gomez was the brain child of New Yorker Steven Marks. What I found out on googling Mr Marks was that his career began on Wall Street before a move to Sydney saw him realise a gap on the market and the franchise began and the rest is history. And how thankful I am that his venture has made its way to Western Australia. And what I particularly like is the fan fare that comes with the opening of a new Guzman y Gomez store. Basically for all of the opening day from 11am til 8pm burritos are on the house. They try and set new records every time a new store opens. 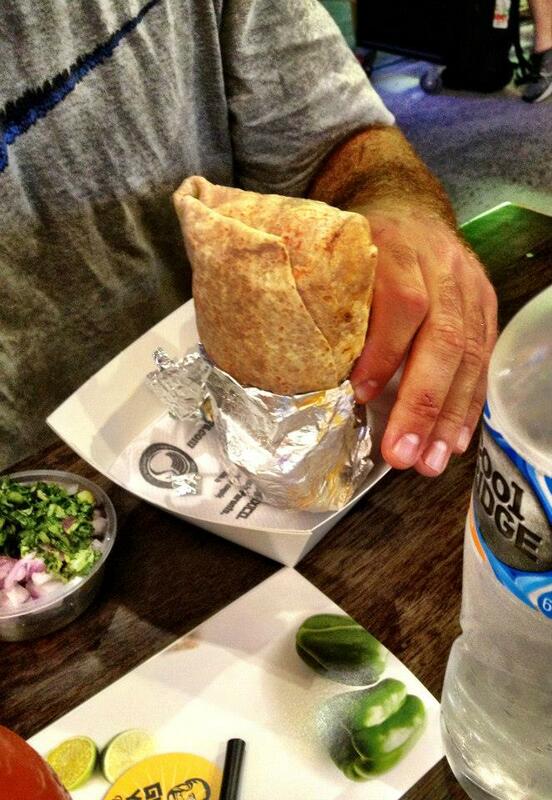 Perth gave it a red hot go with over 4 thousand burritos walking out the door, but we didn’t quite manage to take top spot on the ladder. Oh well, it definitely helped spread the word about the new store and the word seemed to be that these folk knew their burritos. So I was more than a little excited about heading along for the first time with the delightful Miss P and Mr D – who were from all accounts big Mexican food fans. We met at 7pm on a weeknight and thankfully wasn’t a drama to find a seat at this time, but by the time we left it was pulling a big crowd. As I waited for my friends to arrive I studied the menu so I better understoof proceedings. As outlined the first step involved picking a style – a burrito, a bowl, tacos, quasadillas, etc. I wasn’t starving on this visit so decided to keep things conservative and went with the 2 Soft Shell Tacos ($8.50) – soft corn tortilla, with vegetarian black beans, salsa and filling. With this important decision made it was time for step 2, choose your filling. I went for one of the Chicken Guerrero (Mild) – Grilled Chicken in GYG’s GUerrero marinage with Pico de Gallo salsa. 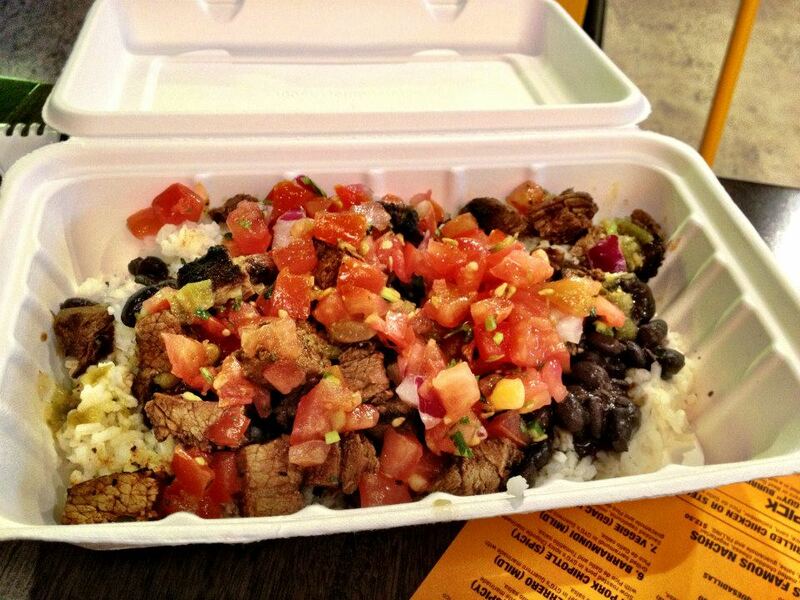 And then a Beef Guerrero (Mild) – slow raosted beef in GYG’s Guerrero marinade with Pico de Gallo salsa. I had been tempted to try the Pork Chipotle but was nervous I couldn’t handle it’s spiciness. Another time. I thoroughly enjoyed the ones I did choose though. Plenty of flavour and everything was so nice and fresh. Plus they were the perfect size for my appetite at the time. I probably prefered the beef slightly more, it just melted in your mouth! Yum!! 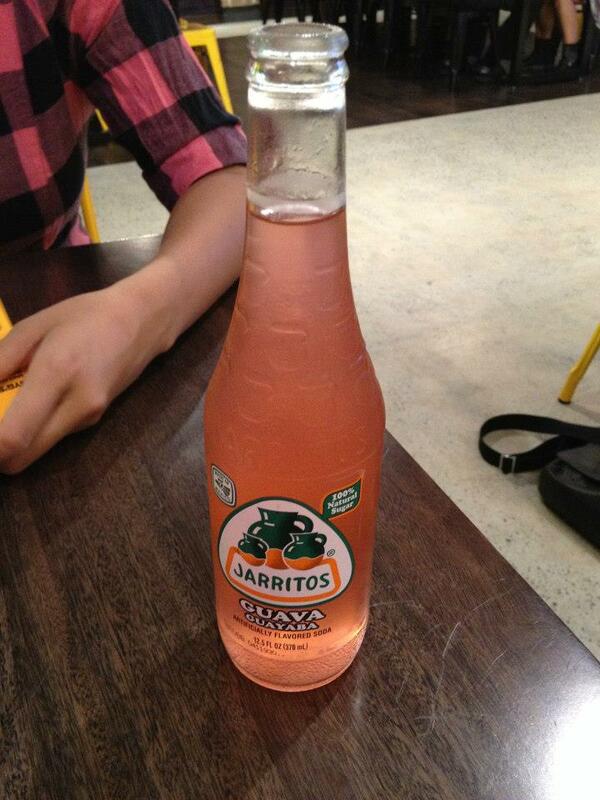 I also ordered a Guava flavoured Jarrito – a Mexican soft drink ($4.50). I like guava. Haven’t really had it since apple and guava juice which I used to drink in my youth, known around the house as ‘red’ juice. It was great then and guava was still a winner as a beverage flavouring. Go the Mexican soda! Across the table Miss P opted to try a bowl option, which came with rice, vegetarian black beans and filling. Her filling choice was the chicken guerrero. From all accounts the bowl got rave reviews but it had been hoped that it would have a bit of greenery. As it was all of our first visit it was more of heads up for returns visit. 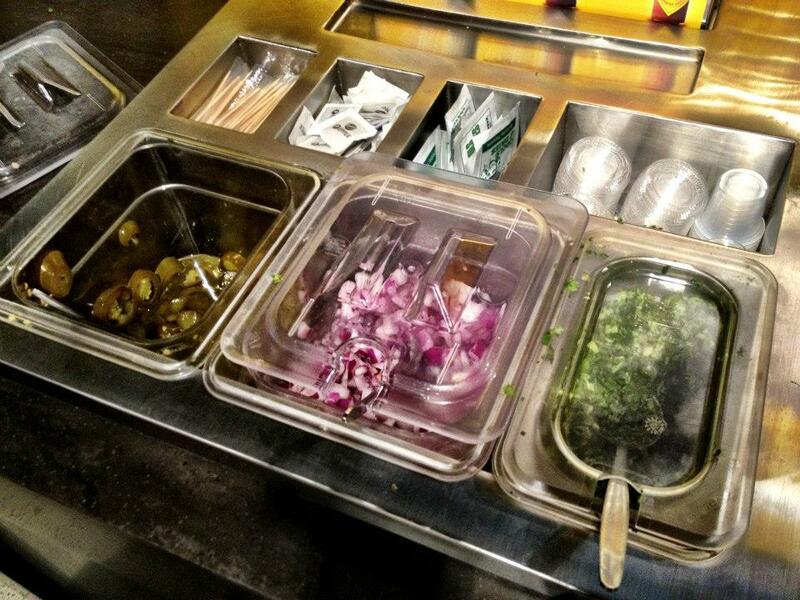 As for additional salad options when ordering. She was a fan though. Mr D went to a Pork Chipolte Burrito and was pleased to be able to add brown rice (for $1.00) and also change to a whole wheat tortilla ($0.50). It was just healthy central all round with his order 🙂 Again another happy visitor, especially on the spicy front. A few napkins were perhaps daintly patted to his brow given the additional Tabasco he had liberally splashed on. But from all account Mr D stated that “I wouldn’t change a thing”. 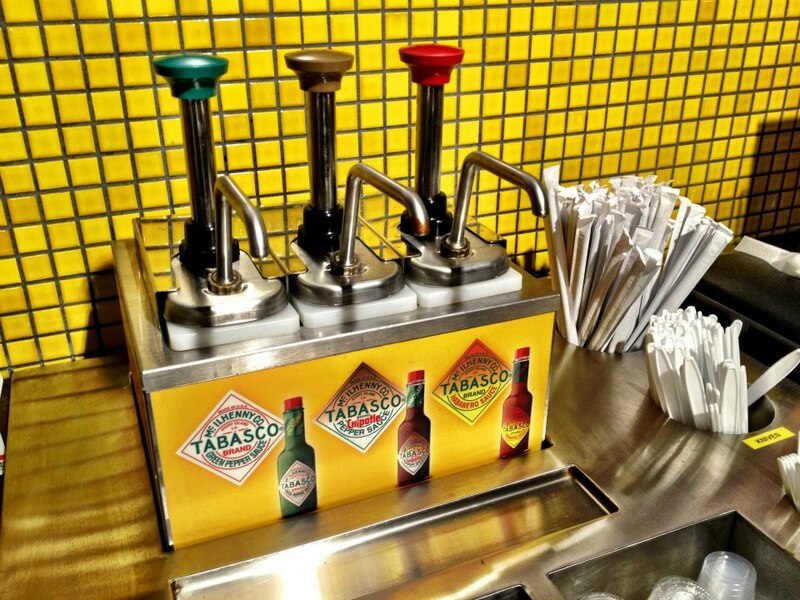 Another favourite of our small group was the condiment station. A range of Tabasco sauces and also help yourself to as much spanish onion, jalapenos and coriander salsa as you fancy. Very much make it how to like it. I had thoroughly enjoyed my first vsit to Guzman y Gomez. Staff had been uber friendly – clearing our tables super swiftly, asking how are meals had been, etc and the food was a crowd pleaser. Wow thanks for sharing! 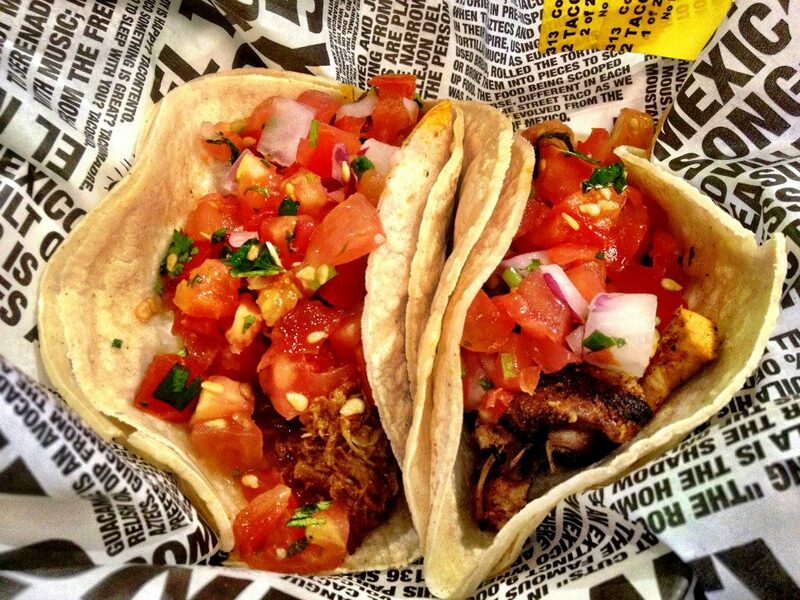 Always on the look out for new yummy mexican restaurants and this food looks delicious! !